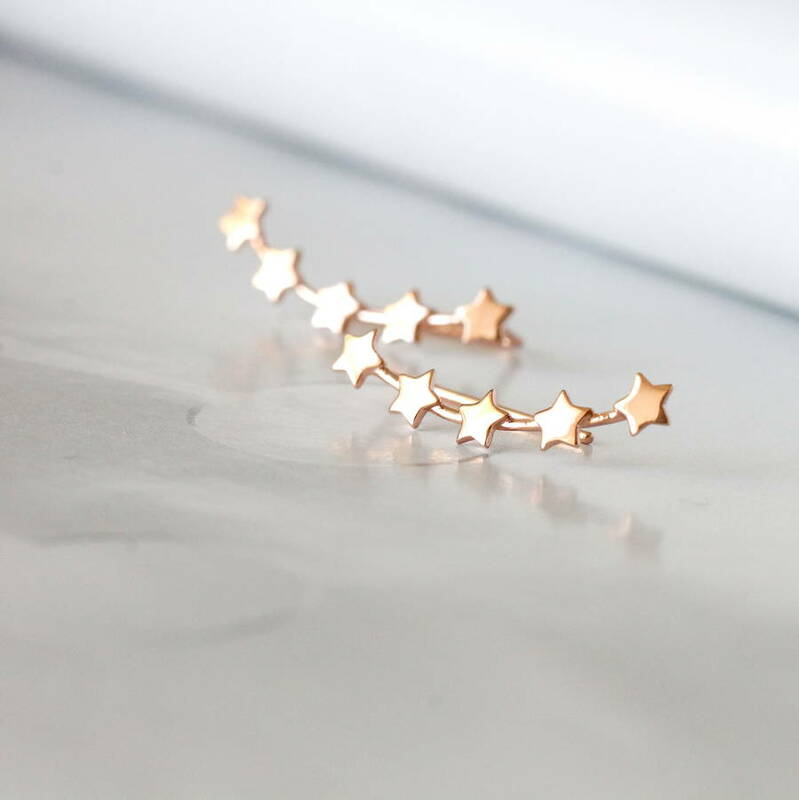 Stunning little five stars ear climbers. 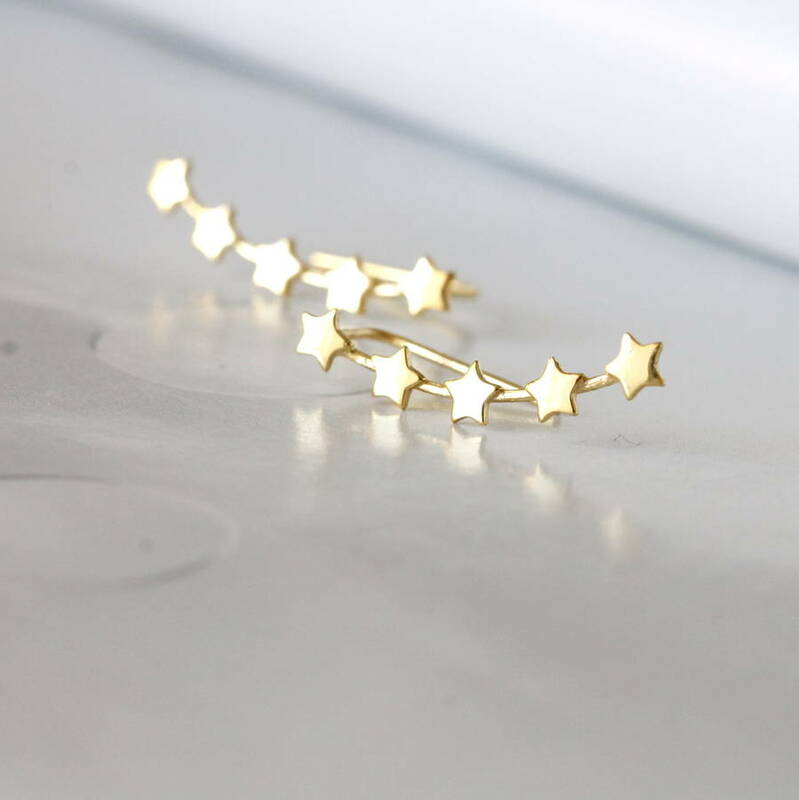 An effortlessly stylish piece of jewellery, a new addition to our beautiful range of star earrings. 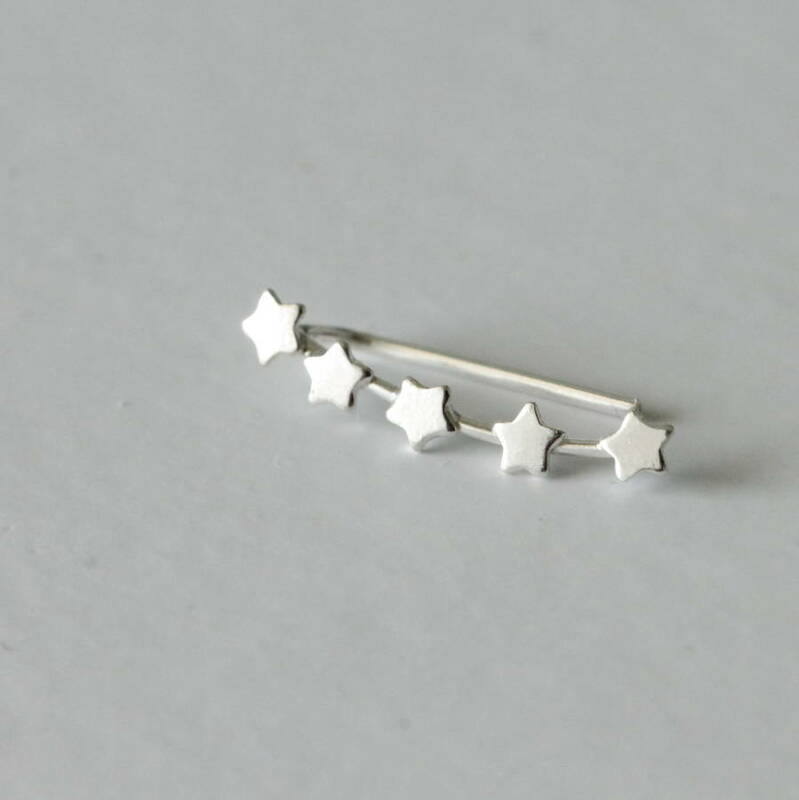 These earrings are handmade using sterling silver with a polished finish that gives the five little stars an extra shiny effect. 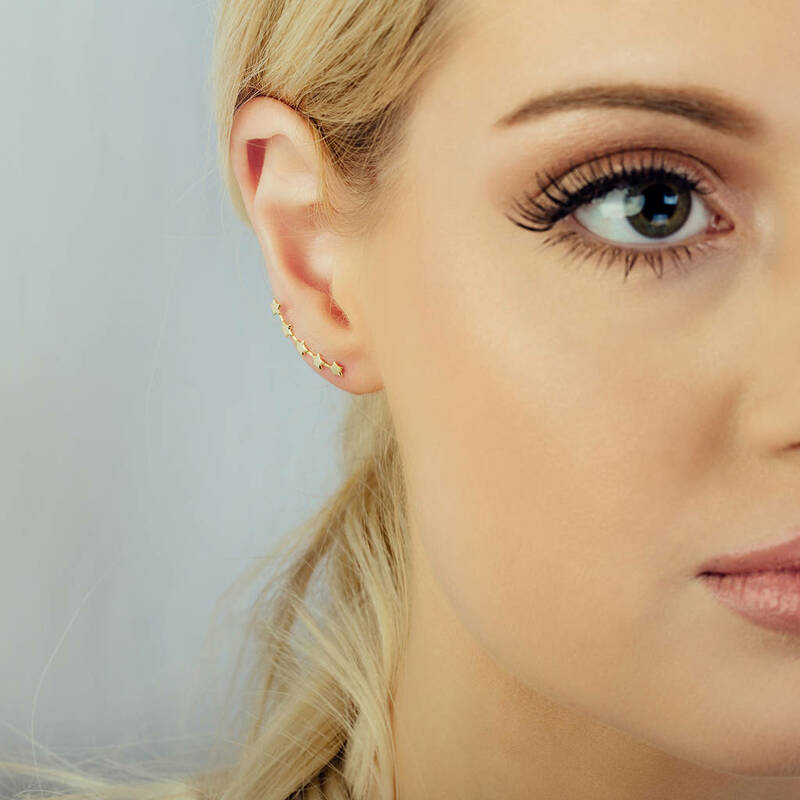 This item is supplied in a stylish jewellery box and makes a gorgeous gift for any occasion - Mother's Day or Valentine's Day, a present for bridesmaids or birthdays... and, of course, for Christmas. These ear climbers are delicate, approx 2.2 cm in length. 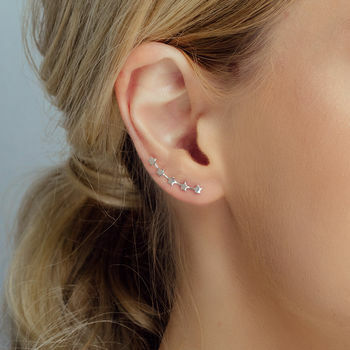 (You only need one ear piercing to wear this stunning piece). 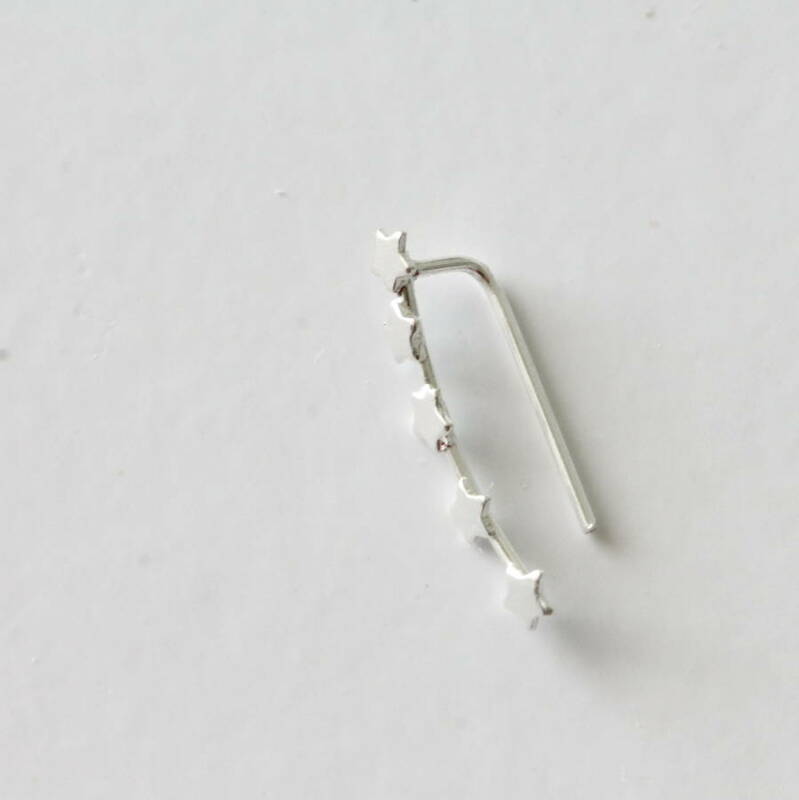 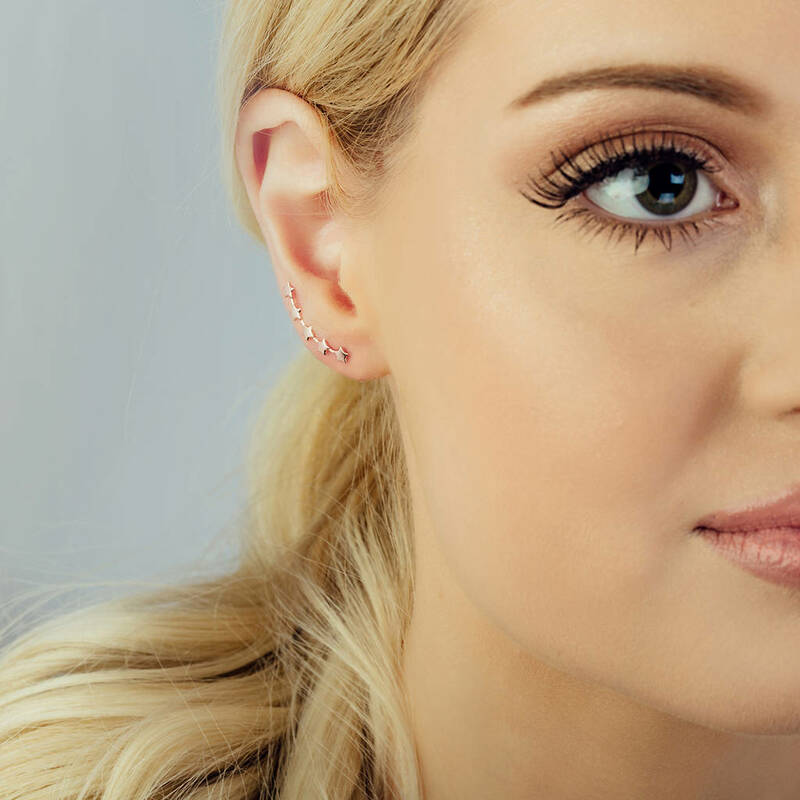 How to wear these earrings: gently open up the backing and thread the post through the ear piercing and then press together again close to the ear lobe to secure.